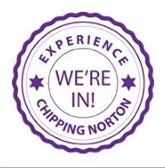 Due to present and forecast snow, Chipping Norton School is closed today (except for those sitting exams). Also closed are Great Rollright, Kingham, Great Tew and Wychwood primary schools. Burford School is also closed. Holy Trinity and St Mary’s primary schools are open. Worth checking with school websites, local radio and the Oxfordshire County Council website today in case anything changes. This entry was posted in local services and tagged schools, services, snow. Bookmark the permalink.